Haidamaka Battalion of Slobidska Ukraine (Гайдамацький Кіш Слобідської України; Haidamatskyi Kish Slobidskoi Ukrainy). 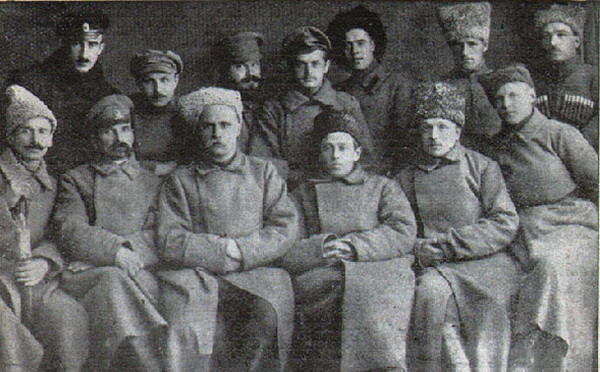 Military unit formed in Kyiv during December 1917 by Symon Petliura, who became its first commander. Initially composed of one infantry battalion and one artillery battery with a total strength of 300, it played a prominent role in the battle for Kyiv during January and February 1918. Many of its first members were students from local military schools. In March 1918 the unit was incorporated into the Zaporozhian Corps as the 3rd Haidamaka Infantry Regiment under Colonel Volodymyr Sikevych. In June 1919 it was transformed into a brigade consisting of four infantry battalions and other units under Otaman Omelian Volokh. Later that year the unit, under Volokh's influence, mutinied against the Ukrainian National Republic and acted independently until its destruction in 1920.